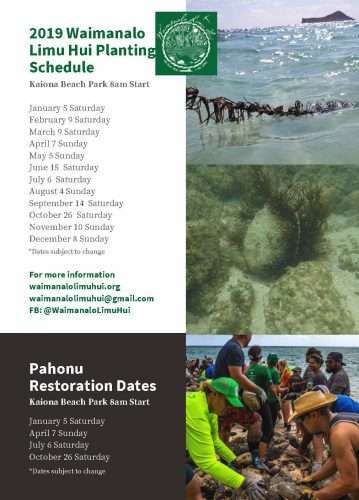 We hope you can join us this Saturday, April 14th, as we put our hands to the ‘āina to mālama ‘Aimakapā. 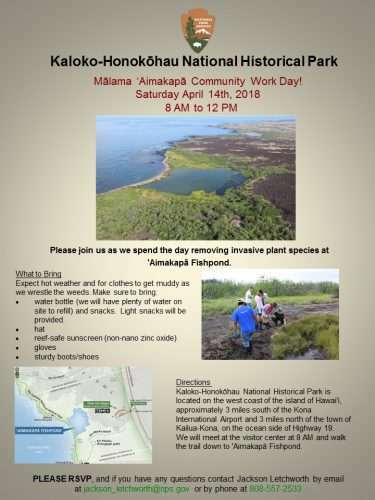 Please RSVP to Jackson Letchworth if you plan to attend: jackson_letchworth@nps.gov or 808-557-2533. Mahalo!